1.849,00 € inkl. 19% MwSt. 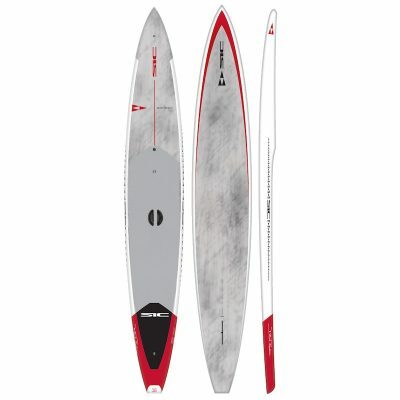 (TWC) Tough Wood Carbon – molded construction with wood reinforced deck, carbon reinforced/stiffen- ing rail wrap, croc skin EVA deck pad, cargo net, U.S. standard box / 12K carbon Weedless fin, Gore-Tex breather valve, EZ-Grab handle, multiple leash attachment options. 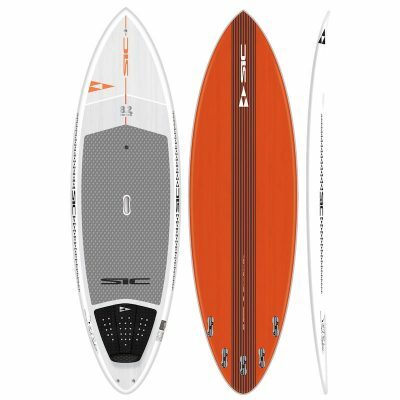 The Bullet features a flat bottom (planing hull), which gives the board a very stable platform rail-to-rail and smooth glide through the water. 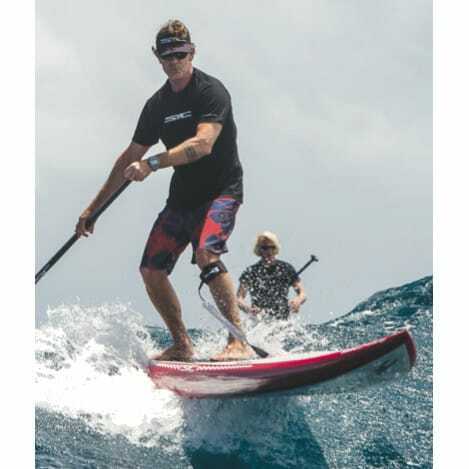 The overall rocker line makes the board perform very well in a variety of conditions planing over chop and down swells, as well as enabling rail-to-rail steering when on glide. The high volume in the rails provides unprecedented stability in wind or boat chop and helps the board have a get-up-and-go feeling. 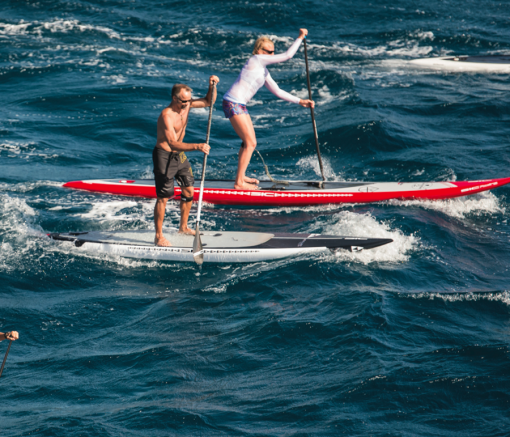 The decking of the board features a lightly contoured shape for increased control, minimizes foot cramping and encourages water drainage. 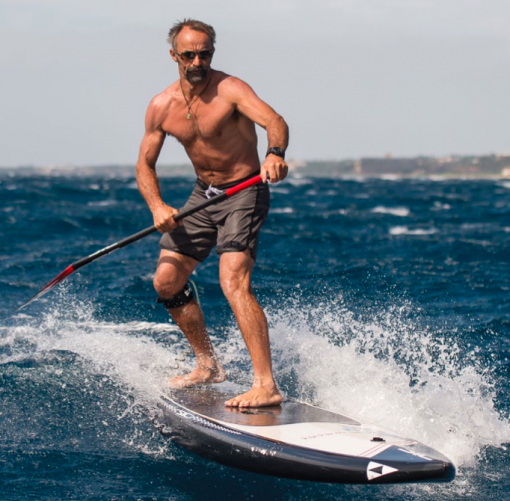 Offered in TWC (Tough Wood Carbon) or SCC+ (Single Carbon Composite + InnegraTM), basically the same shape in a high performance carbon or durable glass carbon option. 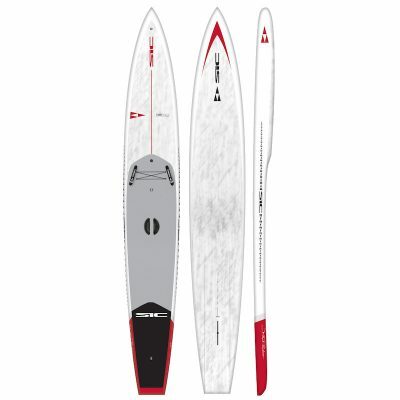 The boards come complete with EZ-Grab handle and 12K carbon Weedless fin. F.A.S.T. 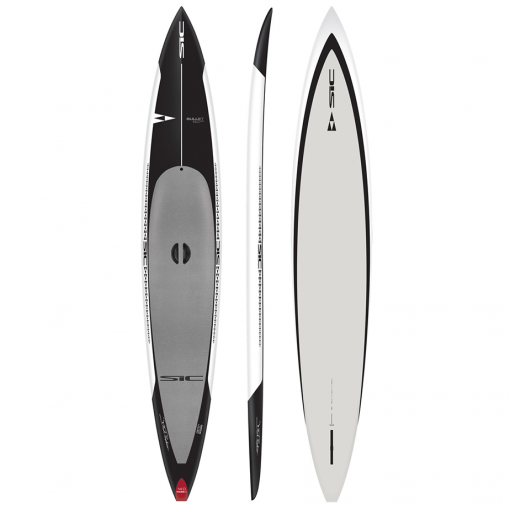 (Foot Actuated Steering Technology) with 3K carbon Dagger rudder is offered on the Bullet 14.0 v2, Bullet 17.4 v1 and Bullet 17.0 v2. 2.899,00 € inkl. 19% MwSt. 2.999,00 € 1.999,00 € inkl. 19% MwSt. 2.799,00 € inkl. 19% MwSt.